The 2014 FA Cup Final saw Arsenal play Hull at Wembley Stadium in London. After a great game Arsenal won the FA Cup trophy, but, after getting injured in an earlier round, Arsenal's Theo Walcott was not at Wembley stadium. 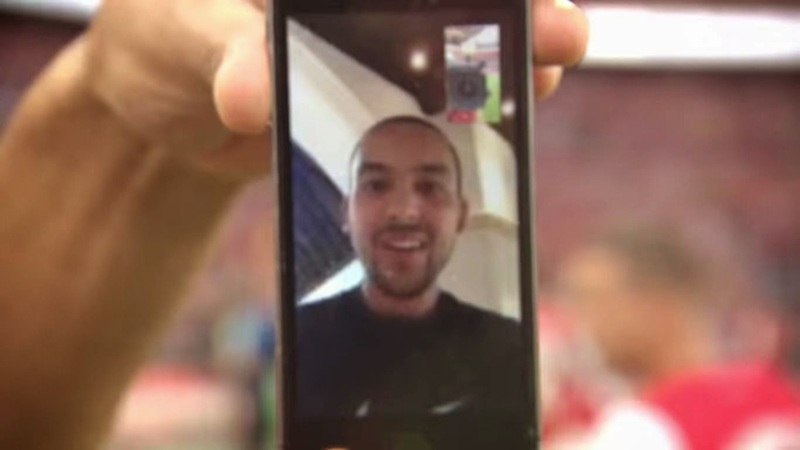 Theo Walcott's Arsenal team mates felt sorry for him, so they 'Facetimed' him directly from the pitch!